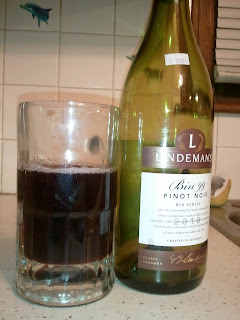 When my husband used pinot noir to make me red wine butter, that left 2/3 of a bottle of red wine to be drank. I'm really more of a white wine drinker, so I figured I could use the leftover red to make something nifty. 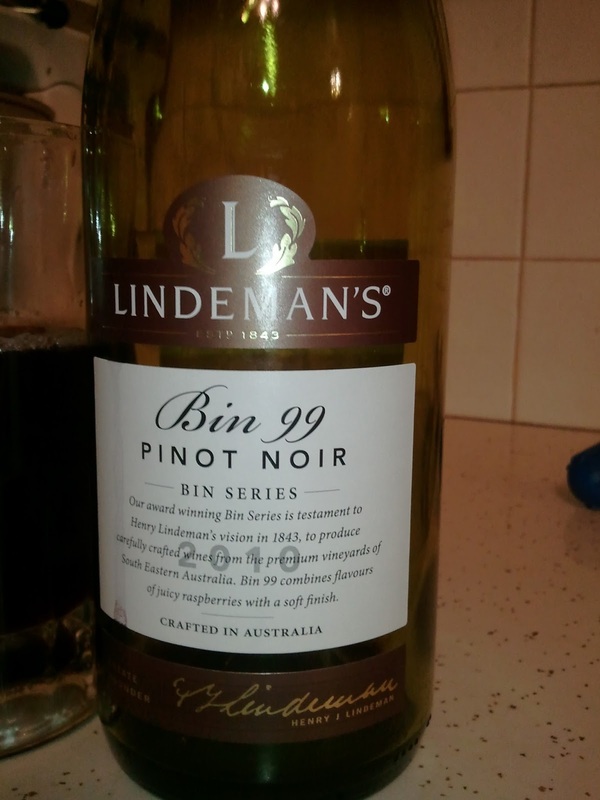 This is a $7 bottle of Lindeman's Pinot Noir. Quite tasty, especially for the price. I only had a glass, so I have no excuse for this photo. The attempt: artsy and holiday festive. The result: kinda crappy. 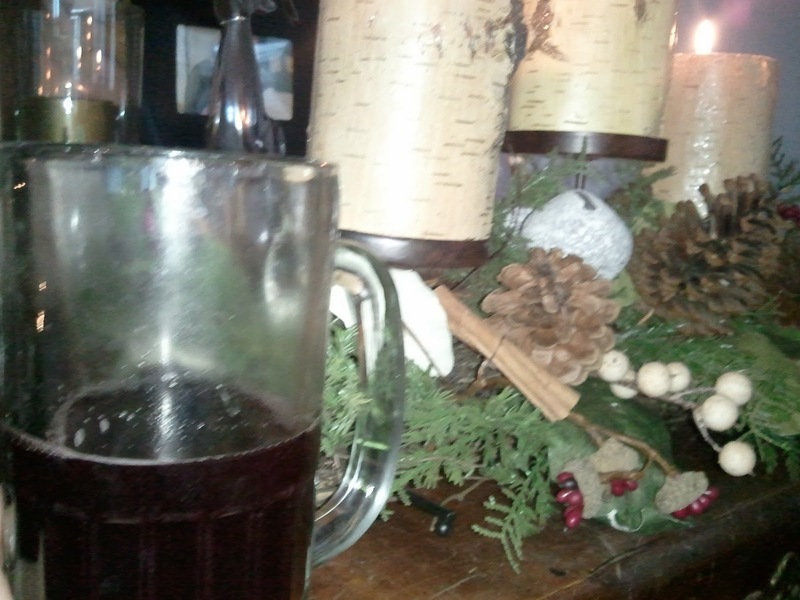 Make some mulled wine and forgive me, please.